ModBargains.com provides Cobb Tuning BMW N54 Stage 1 Power Packages and Other Car Parts. Call to speak to one of our Experienced Modification Experts @ 714-582-3330 to save today. 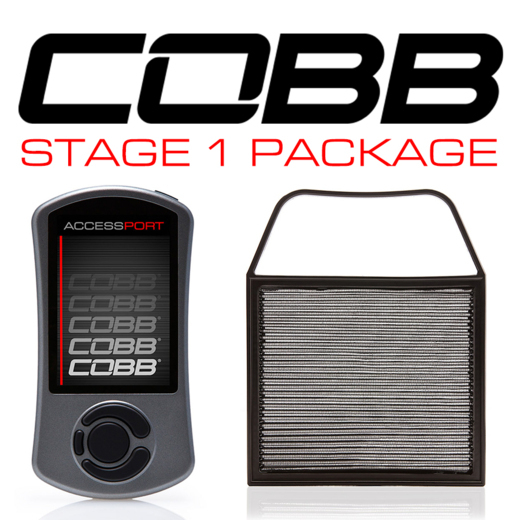 If you wan the latest in BMW N54 tuning technology then getting this NEW Cobb Tuning V3 AccessPORT is a MUST! If you liked the Cobb V2 then you will love the features available with this V3 Cobb AccessPORT. This Cobb Tuning V3 gives you the same BIG horsepower and torque increases the V2 gave you but with the ability to finely tune each AccessPORT to your BMW; giving you the most optimized tune possible. With Cobb's new easy to use, large LCD screen, tuning and features are easier assessable than ever before. This Cobb V3 AccessPORT unleashes the hidden power within your N54 engine by taking off the the restrictive OEM settings. This AccessPORT V3 installation is easy by plugging it directly into your OBD port and flashes your BMW's ECU in a matter of minutes (just follow the steps listed on the AccessPORT). The tuning is extremely flexible and allows you to choose on the fly one of the performance maps that are already loaded onto the AccessPORT. This tune is an ECU flash, not a piggy-back tuner, there will be no added devices to your vehicle's ECU. Extract every bit of power from your N54 engine today and drastically improve performance with a COBB Tuning V3 AccessPORT from ModBargains! The COBB Tuning BMW N55 Stage 1 Power Package includes the COBB AccessPORT V3 and the N54 High Flow Air Filter.